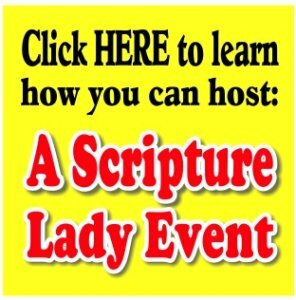 The Scripture Lady loves creating Holiday Bible games! 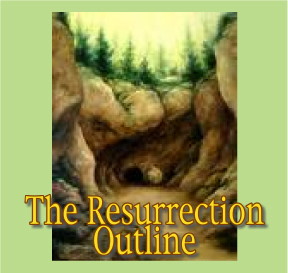 Here is one for Easter called “The Resurrection Outline” to teach about the resurrection of Jesus. Please click HERE for the “Resurrection Poster”. 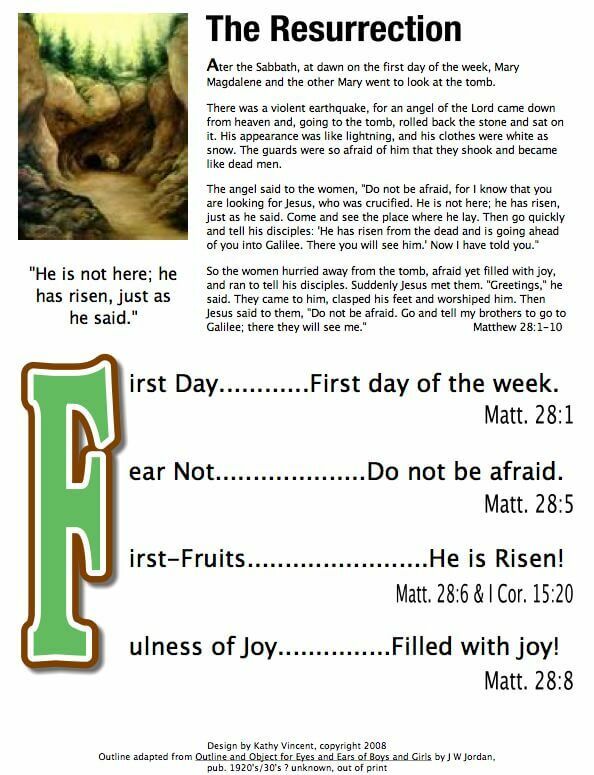 It will help your children learn about some important phrases found in the passage of Matthew 28:1-10 all beginning with the letter “F” – First Day, Fear Not, First-Fruits and Fullness of Joy. One way you could use this poster is to have the children look up each of these phrases in their concordance and find other times they are used. You could also have them highlight the phrases in the verses found on the poster. The last idea is to talk about what the resurrection means for each of these phrases. For example, the first day signifies the entrance of a new era – the era of grace. “Fear not” tells us that we know longer have to be afraid of the power of sin and death because Jesus has victory over both. His resurrection is a sample and forerunner of the great harvest that is to come and finally, we can have great joy now, knowing that our Redeemer lives as well as look forward to the coming joy of Heaven.